Europeans love to travel by train; it’s convenient, comfortable, and full of scenic views. Traveling by train is a great way to see many landmarks and beautiful sites all on one journey, but it also provides another perk. Traveling by train typically takes way less time than traveling by air or car. For instance, if you want to travel from Geneva to Paris it will take 4 hours and 35 minutes by air and 5 hours, 19 minutes by car. BUT, if you travel by train this same journey is only 3 hours and 7 minutes! The next time you visit Europe make sure to check out these 10 train routes, each one is sure to make your trip even more special. 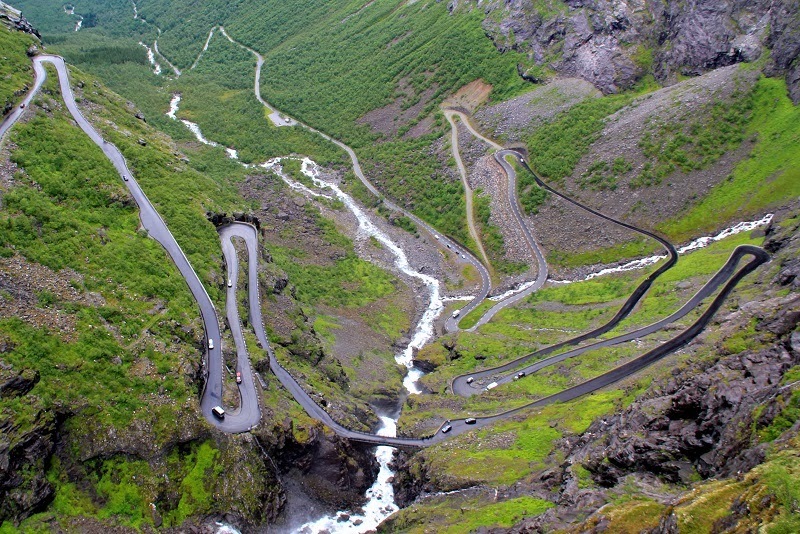 Norway has some exquisite sites to show off, many of which The Rauma Railway runs right past. Each day, all year long, this train leaves the station at 4 different times. It takes 1 hour and 40 minutes to make the trip in totality, although shorter trips on this train are available. 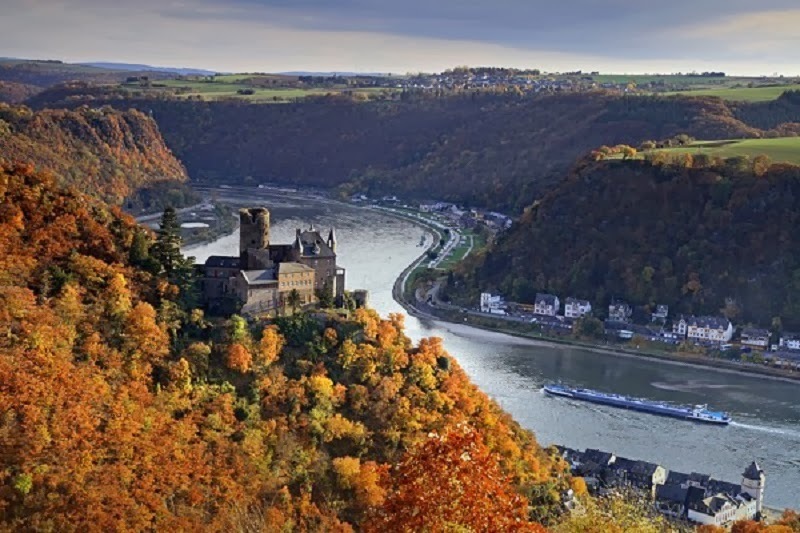 Located near the left bank of the Rhine river, the West Rhine Railway travels to and from Cologne via Bonn, Bingen to Mainz, and Koblenz. If you are attracted to castles, this is the train ride for you! 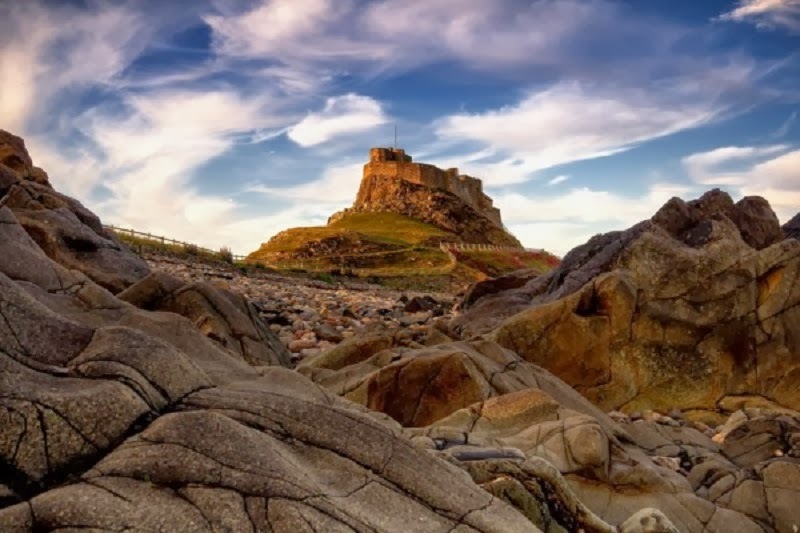 The United Kingdom is home to some of the most amazing historical castles all over the world, many of which can be seen from the windows of the The Great British Heritage Route. The start of European civilization began along the routes this train travels along. You will see barren landscapes, small villages, and larger cities all in one journey. You will pass through parts of Bosnia and Herzegovina, Greece, Macedonia, Romania, Serbia, Turkey, Bulgaria, Macedonia, and Montenegro–giving you a tiny taste of what each has to offer. Snow peaks, natural valleys, and traditional villages all make this incredible train ride worth the fare! If you want to see some of the most beautiful spots in all of Germany, you will be pleased to know this train passes through Bavaria and along the Isarco river. This train ride takes you from the capital of Spain to the capital of the Principality of Asturias. Enjoy scenes that range to include small, authentic Spanish villages, and vast open nature along European’s countryside. 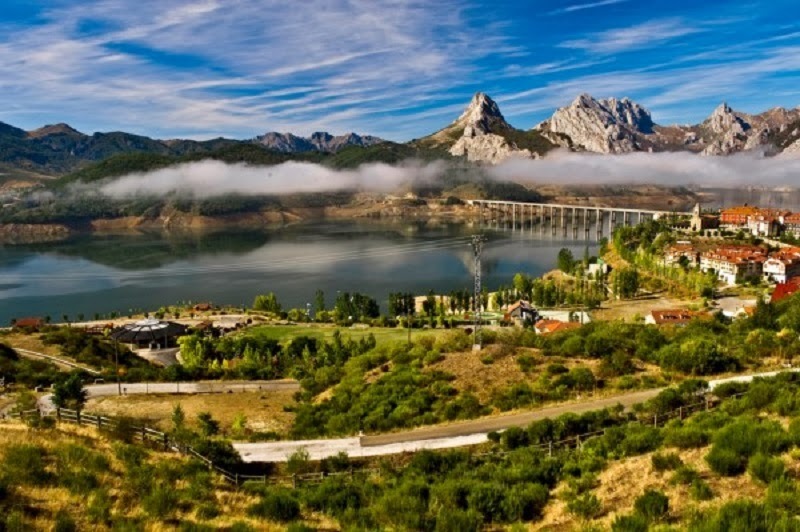 As you approach the Asturias, you will also enjoy soaking up the surrounding Picos de Europa mountains. While traveling on The Chocolate Train you will see vineyards galore all surrounding the medieval Gruyeres and Montreux. You can choose to ride in the classic vintage train car from 1915, or take a seat in the more modern car. The region that the Scottish Highlands train travels through is rich in historical value. During the last half of the Middle Ages and into more modern periods, the area become culturally distinguishable from neighboring Lowlands. Travel through some of France’s most scenic locations on the Train des Pignes. This route offers breathtaking natural landscapes , including flowing rivers, and miles of trees. 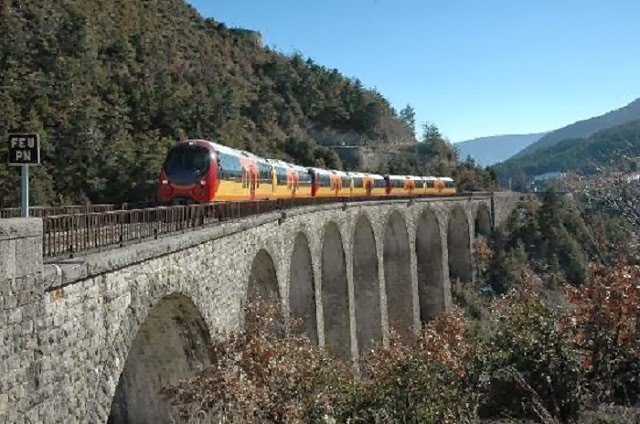 There are also multiple beautiful bridges, and small villages (including St Andre les Alpes, Entrevaux, and Digne les Bains) full of culture and charm. 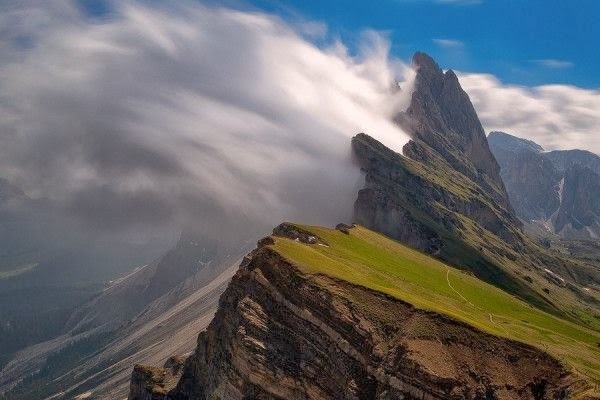 The Bernina Express train only travels over tracks for 2 1/2 hours, but that’s enough time for you to see everything from ice-age glaciers to beautiful swaying palm trees. 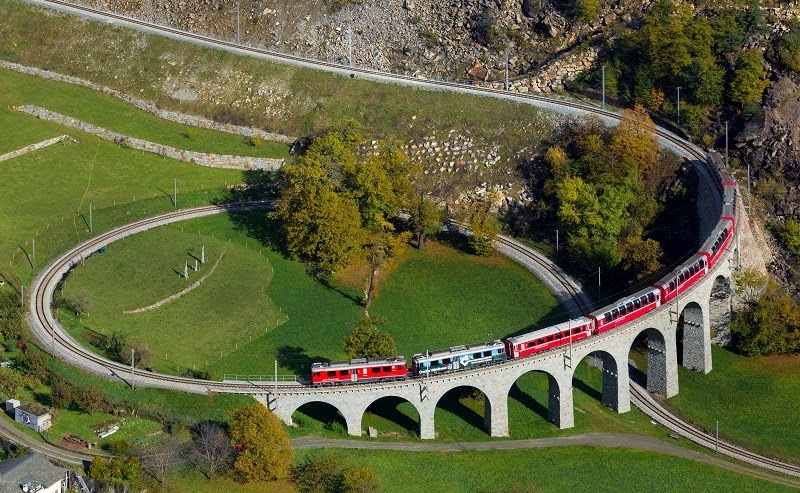 The Swiss train runs through 5 different cities including Lugano, St. Moritz, Chur and Tirano. The journey takes you over 196 bridges, some which have been in use for many many years. If you can afford the first class ticket, you’ll enjoy panoramic views of sights that are truly unmatched. Life Changing Vacations: Which Would You Take?